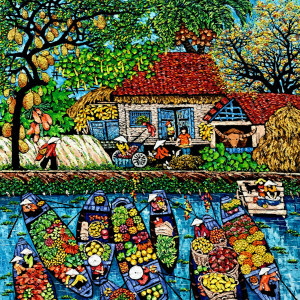 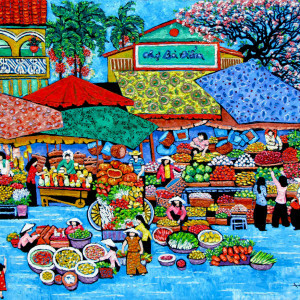 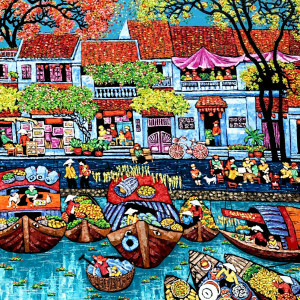 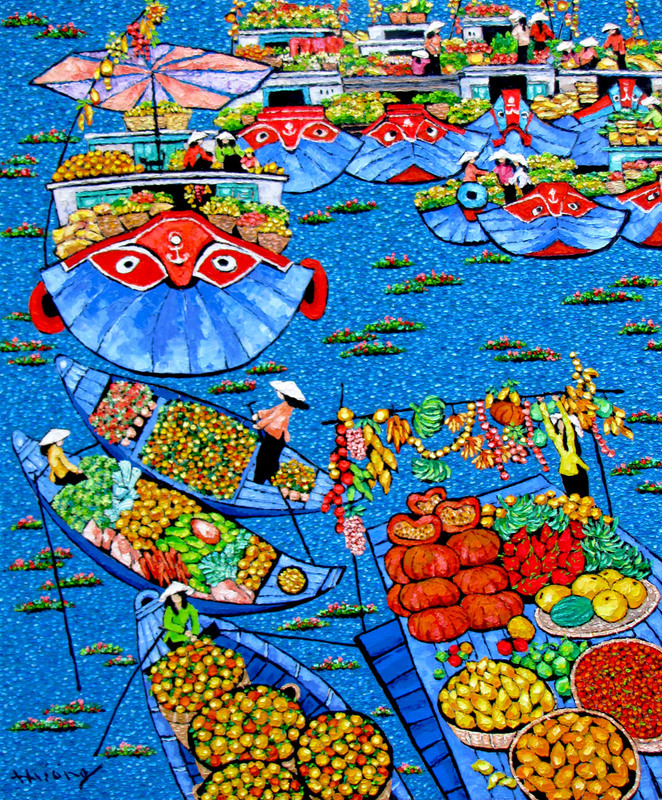 The floating market is a recurring theme in Vietnamese art. 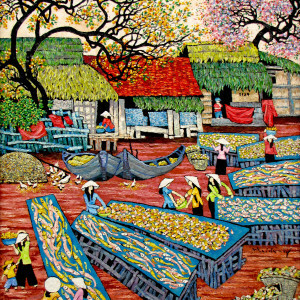 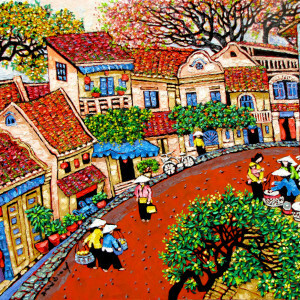 Contemporary Asian artist Tran Thu Huong, paints the market in her characteristic style. 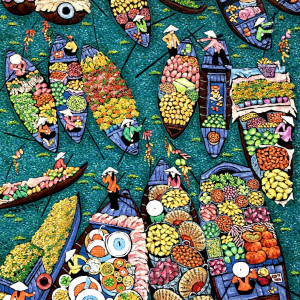 It is colorful, detailed and is a veritable feast for the eyes. 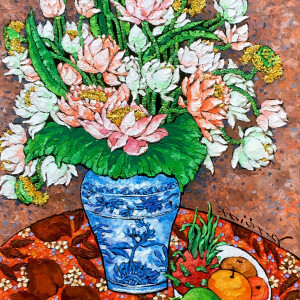 The activity depicted imbues a dynamic aspect to the painting. 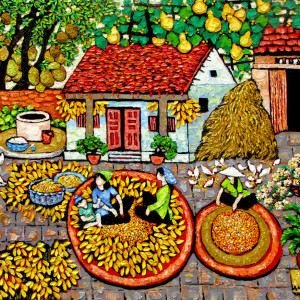 One can spend a long time going over the minute details in this warm and happy composition.